So happy with our photographers & pictures!! We ended up taking a leap of faith since my sister and one of my best friends had used the service last year and were both happy with it---and we are so glad we did! First, you choose the location of our event and find photographers in the area. Then, you can review each photographer's portfolio and book them for your event. They have various packages available so you can pick the one that works best for your needs/budget. We loved the transparency of the service, and the interactive customer service we've received so far. All communication with the company is done via email, but they have been very responsive and we've had no issues. The week of our engagement shoot, our photographer reached out and asked if we were still okay with the scheduled date since there was a chance of rain. He offered to push out the date a few days later so we could have sunshine, and worked with us on finding another date which worked well for our busy schedules. We are so happy we didn't have to compromise between our budget, great photographer, and quality customer service!! Highly recommend!!! We were looking for reasonably priced photography services but didn't want to skip out on fewer hours. We liked the cost, and found it to be an amazing value. The whole experience with Lily and Lime, John- the actual photographer and the resulting photos were fantastic. We got our pictures back in just 2 weeks. John was so fun and made all of our photo-shoots relaxed and a breeze. I couldn't recommend him and this company more! The customer service team was amazing. It's so easy to choose your plan and photographer. 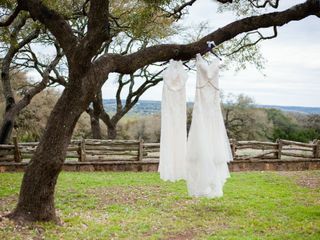 After I booked online the rep called me to let me know there was a photographer that has worked my venue before and was very familiar with the great places to take pictures. I loved how they went out of their way to pair me with the best photographer ever! Amy was amazing! She was like part of the family and took tons of amazing photos.I am so glad I chose to use the company. It was way more affordable and the pictures are amazing! I look at them every day! Thank you Lily & Lime and Amy! Our photographer, Miguel, was fantastic. The pictures he took were fabulous and he knew what he was doing. He was not intrusive. He went above and beyond asking for wedding items to take pictures of, stuff I had not thought about. I would highly recommend Lily & Lime. It was quick and easy. I was very happy with the sample pictures they sent just a few days after the wedding. 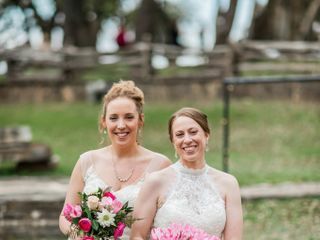 We went through Lily and Lime to hire our wedding photographer, and we can't say enough positive things about our experience! Our photographer was punctual, understood what we wanted, and made great suggestions along the way. She took the time to get to know my wife and I, asked specifically about what photos we wanted, and made them happen. She was sensitive to family photos, and so professional. Some of the shots she took were so good, they don't look real! Lily and Lime made hiring our photographer fast, easy, affordable, and stress free! Thank you Lily and Lime! Lily and Lime Was Great! This company was so easy to work with. Everyone was friendly and super helpful. We were able to stay in our budget and still get professional and beautiful pictures of our wedding. The photographers Christy and Viviana were not only capturing our day but they enhanced it! The day of the wedding there was rain, wind, and last minute scrambles. The photographers not only kept up but somehow managed to wrangle our family members to make sure all our precious photos were captured. Customer service were very professional, even when I called them over and over to confirm things as I got nervous close to our Big day. If you need great pictures, Lily and Lime are wonderful. Lily & Lime was the perfect choice for my husband and I! Very affordable and amazing pictures! 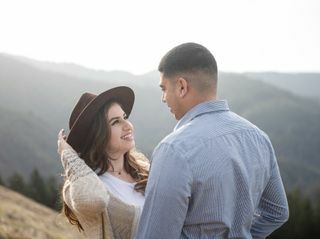 We booked very close to our wedding and wanted to have an engagement session as well. Due to how close the engagement session and the wedding were, we weren't able to have the same photographer for both - but it didn't matter! Both our engagement portrait session and our wedding photos turning out stunning! I love that the whole process is done online - it made it so easy for someone like me who likes to review details several times. The timeline planner was also very helpful in figuring out the logistics for the day of. Overall, I definitely recommend Lily & Lime! Shout out to Marek and Suzanne who were the main photographers for us - our memories will last a life time thanks to you! The company was great and quick to respond to any and all questions we had. Our photographer was Bozena and she was very nice and patient with us making sure we had good posture etc. I was pleasantly surprised with how many photos she took. My experience with Lily and Lime was amazing! I am the type that tends to stress out about everything! My daughter's wedding was no exception. I searched for all of the vendors that we would use and spent a lot of time researching a photographer. I admit that I was skeptical about using an online service. I read the reviews and looked at the pricing and it just couldn't be beat. We had chosen a photographer that had something come up and we were given plenty of notice. We chose Virginia and wow - she was wonderful! The pictures are awesome and everything was captured beautifully. Thank you Lily and Lime! Great value and customer service, in addition to beautiful photos! 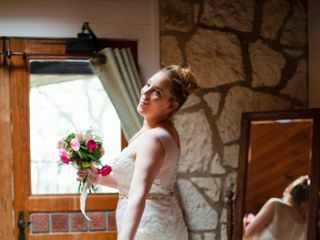 I got married in Atlanta in November 2018 and chose to use Lily & Lime for the flexibility, already great online reviews, and convenience of being able to view and choose a photographer online. 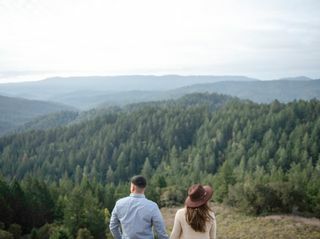 My husband and I are pretty laid-back and when it came to planning our wedding, we wanted to keep our stress levels low. Lily & Lime was easy to use - everything from looking up local photographer portfolios to getting my questions answered incredibly fast by their entire customer service team. 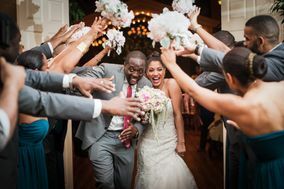 We chose Lawrence because of his beautiful photographs and extensive wedding photography background. When using Lily & Lime, you don't hear from the photographer until one week prior to the wedding, which stressed me out a little...but looking back, it did not make any difference. We were able to communicate what we needed, our timeline, important people to photograph, and all our other details. The photos turned out to be so beautiful and such a wonderful reminder of our special day. I highly recommend Lily & Lime to anyone that is curious about them and looking for a great deal on a wedding photographer. Outstanding Service and Gorgeous Photos! 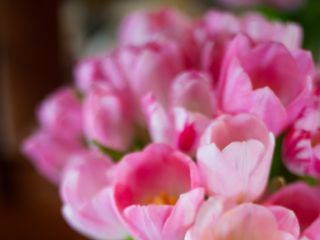 Lily & Lime is a great choice for wedding or event photography. Their customer support staff responds quickly to inquiries, their online platform is user friendly, and their photographers are professional. Our photographer, Violeta, went above and beyond to capture the important moments of our wedding. She interacted well with the guests and was able to direct people into poses quickly and politely. We have no regrets about our choice to go with Lily & Lime! We hired Lily & Lime at the very beginning of our planning and they were great every step of the way. I will admit that at the start I was a little nervous using a company versus booking directly with a photographer, but after reading all of the great reviews we decided to go with Lily & Lime. And we could not have asked for anything better. The customer service through the whole process from planning, payments, questions, etc. up until the day of was seamless and very stress-free. Which is exactly what ever bride and groom need :) Thanks again Lily & Lime! Lily and Lime was FANTASTIC! Overall: They were incredibly easy to work with. You can pick your photographer based on who is available that day. Before your wedding, you have to fill out what you expect your timeline to look like for the photographer to prepare. Our photographer called us the week before to get a more detailed timeline and the day of the wedding she was on top of it! She took pictures of anything and everything and we are so very grateful to have found her using this service. Budget: The amount you pay is based on the time you want, not the name of the photographer. There was no guesswork in pricing. It was easy picking the photographer right for our wedding without being worried if they were within budget. Turnaround time: I have heard from several people that have waited over a year to get their wedding photographs back. I feel with Lily and Lime there was a nice middle person to make sure we got what we needed in a timely manner. If you don't have a specific photographer you want to work with, this is the best route you can go. I am so glad we decided to work with Lily & Lime for our wedding photography! They were the perfect fit for my husband and I. The pricing was really competitive; the planning process was clear & easy to manage; the day-of experience was excellent; the resulting photographs blew away our expectations. Lily & Lime's people were all super helpful and responsive before, during, and after our wedding. I interacted with a few different team members at different points, and they were all great to work with. Our photographer, Leah, was freaking amazing!! I can't recommend her highly enough. She is an absolutely amazing photographer - her work is just beautiful - but her personality is the icing on the cake. She's knowledgeable and professional, but also super friendly and fun. My husband and I were a little nervous that working with a photographer we didn't know well would feel awkward/uncomfortable, but that flew out the window as soon as we met Leah. Seriously - we can't recommend her highly enough! Overall, working with Lily & Lime was a choice we'd make again & again. Thanks for a great experience! Absolutely perfect. The best choice I made for the whole wedding. I really can not think of one thing I would do differently. They were so professional and helpful. They got a picture of everything and I now have digital copies of over a thousand amazing pictures. I love all of them so much and I never like how I look in pictures so that’s saying something! We LOVED working with Lily & Lime. Customer service was top notch throughout the process - very easy to contact and prompt to respond. Of course we were nervous choosing a photographer based only off of a portfolio and not actually getting to speak to her until the week of our wedding. We chose Monica because we loved her candid shots and boy did she not disappoint! I spoke to Monica a few days before our wedding to go over which shots were on our "must have" list, which weren't many. She knew our venue and the surrounding area so she gave some tips and we were set. The day of the wedding she showed up to the venue early to get some pictures of the venue itself, then pictures of me getting ready and with my parents and siblings, then my husband getting ready and with his parents and siblings. We did not do a first look and she did not push for it. During the ceremony I didn't even know she was there. After the ceremony we headed out to take some pictures with me, the groom and the bridal party and she worked fast because we were losing light - we had a 6 pm ceremony in mid-October. Those pictures came out beautiful, and she really made our jewel tone colors pop. We didn't even notice her during the reception, but she was all over the place, and easy to find when we did want a specific photo. Our guests actually commented on how much they liked her which was great to hear! I've never heard people rave about a photographer like they were raving about Monica. There are so many sweet photos from our reception, and silly photos, and photos full of pure joy. We could not have asked for a better collection of photos from our wedding day. Afterwards, we got a sneak peek in about a week and a half - very exciting! We got our full portfolio maybe a week or two after that and are now just waiting a couple more weeks to be able to download them. Lily & Lime won't be for everyone, namely those who want to meet and have a sit down with their photographer ahead of time, but they were perfect for us. The whole process was really easy and we would absolutely recommend them for future brides. We had a great experience with Lily & Lime. Easy to select a photographer based on the style you prefer and the availability for your wedding date. Bozena was amazing to work with and the photos turned out great! We used Lily and Lime as our wedding photographer. 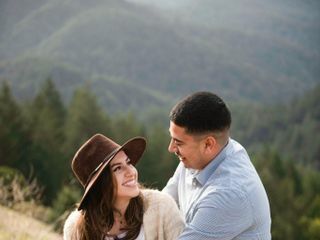 I must admit, I was a little hesitant using an online photographer since we wouldn’t speak on the phone until a week before the wedding, or see them the day of. Turns out, we had an excellent experience! Kat was so amazing, and so professional. She really captured our most intimate moments, and we were so surprised on how quickly we got our pictures! I definitely recommend Lily and Lime for any event! I am so happy we chose Lily & Lime for our wedding photography service! We were able to review portfolios of dozens of photographers and select the one we thought would take pictures that fit our style and the tone of our wedding. Our wedding photos turned out beautifully!!! The customer service with Lily & Lime was also excellent; always received same-day responses to my questions and they were very professional. My husband and I could not be happier with the photos from Lily & Lime. Our photographer, Seth, worked with us to get photos that we will have for a lifetime. The process of signing up, selecting a photographer, setting a timeline, through the actual day, and afterwards – was simply perfection. I struggled with trying to find a photographer and this site made it easy. I got an email confirmation right away, as well as a planning sheet. When Seth showed up the day of the wedding, he was polite, professional, and made me feel at ease. All my guests commented that he was super friendly and enhanced our day. He had a great attitude and even though it rained on our wedding day, he made the best of it, and the photos really showed his skill! I would highly recommend Lily & Lime to anyone asking me for a photographer! Great responsiveness, loved the photo options! We were grateful to find a more affordable option with equally beautiful results! Even better that Lily and Lime was very responsive to every email. We worked with Barak S. as a photographer. He was INCREDIBLE with every step! Listening to our hopes for favorite shots, and even more was receptive to our timeline and hope to not spend too much time in group photos. Thank you Lily and Lime for the great service! Lily & Lime was the best choice and I am so happy we chose to go with this company! I was hesitant at first to use a larger company without talking to my photographer first, rather than using someone local, but I'm SO glad we took the plunge and went with L&L. The online communication and emails were always easy and I always got fast responses. I could have called if I wanted but I prefer email. The staff is super professional and Chelsea with customer support is so nice and awesome. Payments online were always easy as well. I got to choose my photographer out of many local photographers and I was able to review all of their work before making a decision. A little over a week before our wedding, I was able to chat on the phone with my photographer (Jennifer). She was so awesome, not only before the wedding, but also throughout our wedding day! She stuck to my timeline and made sure I got all of the photos I wanted taken. She helped me remember all the shots I wanted (phew! sigh of relief! ), got candids and even more shots that I never would have thought to get. She kept my whole day on time and coordinated with the other vendors to make sure everything went smoothly. I usually hate getting my picture taken (I am plus sized) but I hardly noticed she was there unless we were doing formal pictures. The pics all turned out great and she did an amazing job at making me look flattering all day long. I would certainly hire her again for any future photography needs! Editing is turned back over to L&L after the wedding, and all of our pics turned out amazing! We received almost 1200 pictures (over 500 edited) and I am so happy with the volume of pictures Jennifer got for us. She didn't miss a moment and the edited pictures look lovely! Downloading the pictures after the wedding is a breeze and I now have them for my own use forever! You can also buy an album or prints directly from them on their website. Everything about Jennifer and Lily & Lime was amazing from start to finish! You should definitely hire this company, don't hesitate!